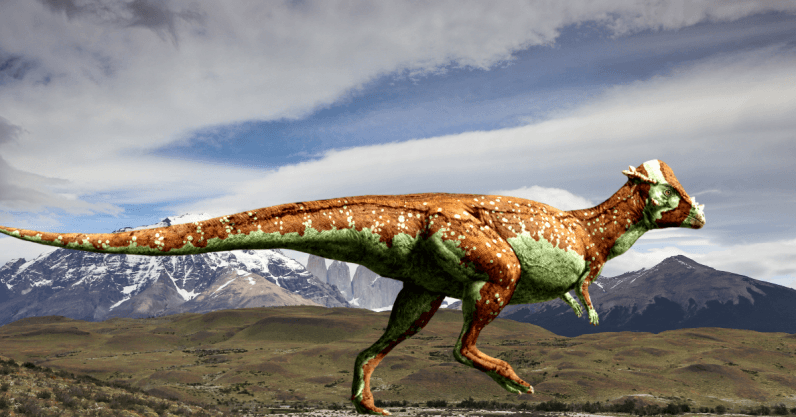 A Spanish-Argentine collaboration has identified a previously undiscovered species of dinosaur in Neuquén, Patagonia, which would have lived over 110 million years ago. The new dinosaur belongs to the family of Rebbachisauridae, a type of herbivorous quadruped. The fossils discovered were that of an adult of around 10 to 12 meters as well as two young that would have been between six and seven meters long. The Independent reported it was likely the dinosaurs ate leaves and grass, and they traveled and died together. The area of Neuquén 110 million years ago was purported to have been a desert, meaning most thought it was unlikely fossils would be found in the region. The new species have been named Lavocatisaurus and, according to Clarin, is dedicated to French Paleontologist René Lavocat, who discovered the first Rebbachisauridae dinosaur in the Sahara desert in the 1950s. The adult dinosaur has also been dubbed Alfredito, after the Uruguayan singer Alfredo Zitarrosa. Rebbachisauridae have been discovered in Europe and Africa, and this recent discovery on the South American continent further backs the theory that these continents were linked together millions of years ago. The fossils are now in the Olsacher Museum of Natural Sciences in Zapala, Neuquén. This article was originally published on Argentina Reports by Frances Jenner, you can read the original content here.